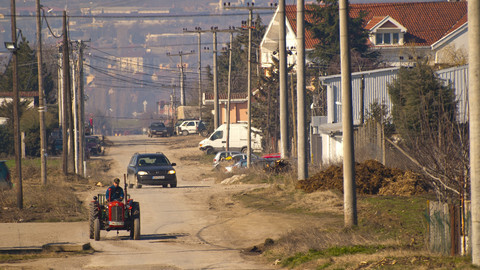 Like its Balkan neighbours, Macedonia is no stranger to street unrest. Lately, Nikola Gruevski’s conservative cabinet has faced waves of protest. But last Tuesday tensions spiralled out of control as youth threw eggs at the faux-neoclassical facade of the government headquarters - a proud example of the so-called Skopje 2014 project populating the capital with reminders of Alexander the Great’s timeless glory. Riot police arrived promptly at the scene. But the crackdown only strengthened the resolve of student activists who pledged to come back – as they did the evening after. Shouting “resignation!” at the top of their lungs, the protesters are clearly not in the mood for giving up. Popular anger has been building following the recordings released by Zoran Zaev, leader of the opposition Social Democrats, which implicate Gruevski and his closest entourage in wiretapping journalists, manipulating elections, and deploying the police to harass opponents. The authorities and their media allies are doggedly fighting back - blaming it all on the machinations of foreign security services and the billionaire financier George Soros, a favourite scapegoat. Zaev is facing criminal proceedings. But if the intention was to mute discontent it clearly did not work. Anger exploded with fresh vigour after the latest “bomb”, as the recordings have been dubbed, showed the prime minister discussing with top officials from the interior ministry the alleged cover-up of the murder of 21-year old Martin Neshkovski by a policeman in June 2011. The dramatic escalation should not surprise anyone. 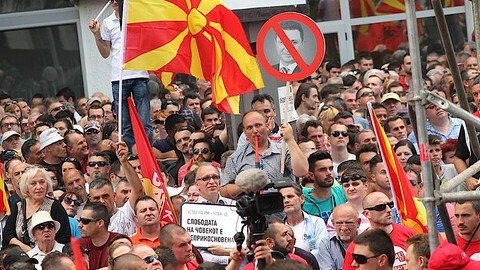 Macedonia has long resembled a pressure cooker. 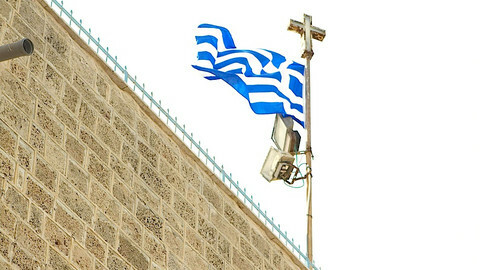 The country is trapped in a vicious circle, where the Greek veto on its EU accession cements self-styled defenders of national honour in power. The outside world cares little unless the spectre of inter-ethnic conflict rears its head. But Gruevski has expertly played off rival Albanian parties, using his control over the public sector spoils to ensure they are brought into line. Citizens have become hostages in this depressing scenario. Though the VMRO-DPMNE government (ruling since 2006) may be seen as the main culprit, the opposition shares the blame. Zaev is to be credited with doing a service to transparency and accountability, but he and his associates lack credibility. It was not Gruevski who invented the governance model melding high-level corruption, clientelism, and the misuse of the state’s repressive apparatus. He simply perfected what the Social Democrats had developed while they were at the helm in the 1990s. In Branko Crvenkovski, former prime minister and president, Gruevski has a convenient bugbear anytime he faces graft accusation. More to the point, there is a divergence between the horizontal activist networks and the main opposition party eager to harness the anti-government wave. Zaev’s call to protestors to keep their powder dry until he, as the high commander, summons them for a large-scale rally on 17 May has provoked dismay. 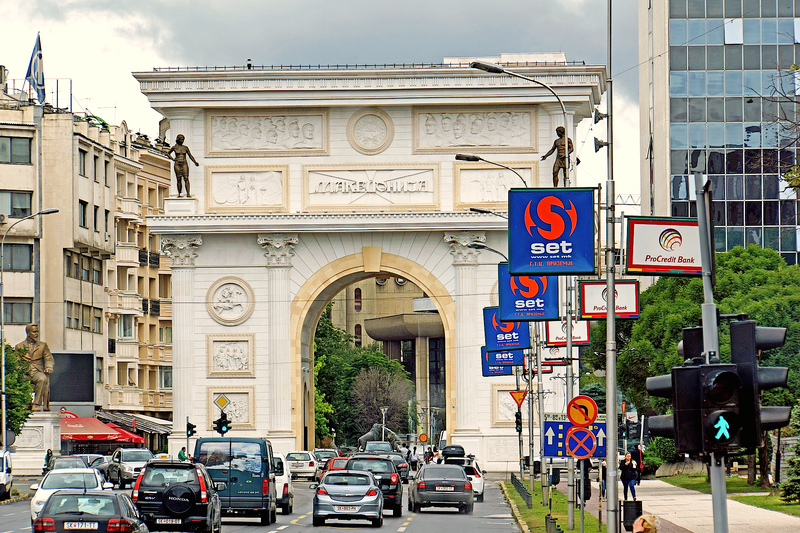 To its credit the EU has woken up to the fact that Macedonia is in danger. Sadly, it is also part of the problem too. With lots of good intentions, Brussels hosted talks by the two main parties with MEPs Ivo Vajgl, Richard Howitt and Eduard Kukan, acting as mediators at the behest of neighbourhood commissioner Johannes Hahn. But that has played in the hands of Gruevski in defusing crisis and dodging responsibility. Casting the crisis to a duel between the VMRO-DPMNE and the Social Democrats confirms the government narrative and marginalises a recalcitrant civil society. Which, of course, is at the end of the day the constituency pushing for the kinds of democratic values championed by the EU itself. Are we witnessing the fresh sprouts of a “Macedonian Spring” or a Maidan (or rather “megdan”, to use the Turkish original which is current in Balkan languages)? Some have floated the idea of a transitional government in the lead-up to free and fair elections scrutinised by the EU. Then again, there is the Turkish scenario, with Gruevski following Tayyip Erdogan’s 2013 clampdown of the Gezi Protests and winning power once again in future, carefully timed and prepared, polls. Such a development would no doubt deepen Macedonia’s isolation, though the government will surely continue to pay lip service to EU accession. Influential EU member states should step in, whether publicly or behind the scenes, to draw red lines to Gruevski and negotiate a roadmap out of the crisis. The so-called Berlin Process involving the Western Balkans and the EU is the right platform, with a summit in Vienna due in August. But this is only a short-term fix. There are two conditions for long-term progress. First, civil society should use its newly found strength to hold authorities to account, whoever happens to be in power. 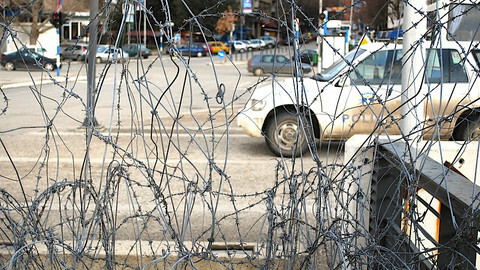 Second, Macedonia, once a frontrunner in the Western Balkans, should start accession talks sooner rather than later. That might be far from the bitter political realities of the day. However, if I were Alexis Tsipras, the Greek PM, I would certainly recognise fellow souls in the youth marching down the streets of Skopje and think again.